Prison life is back under the TV spotlight with Strangeways, a new documentary series filmed at HMP Manchester. Filmmakers were granted unprecedented access to Britain's largest high security prison, known as Strangeways before it was rebuilt and renamed following a series of riots in 1990. 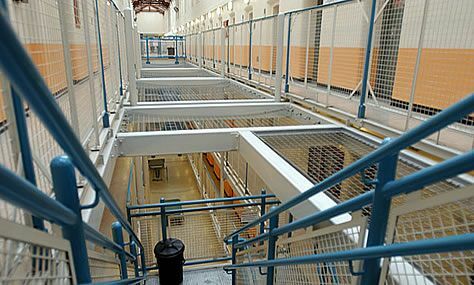 ITV describes the three part series as 'a close up view of prison staffs' efforts to cope with the many challenges thrown at them, often in the face of extreme provocation and physical violence. Strangeways was produced by Wild Pictures, the production company behind last year's documentary Wormwood Scrubs and 2009's Holloway. The series is on ITV1, Mondays at 9pm, starting tonight, Monday 9 May.